A bright, cool morning brought sixteen entries from our regular shooters (and one or two not so regular shooters) who turned out in force to shoot the September Pistol/Gallery Rifle Competition, using the Multi-Target format (HPS 120). Thanks to everybody for competing in such good spirit. All three categories were competitive with the u/signed ending up victorious in the rimfire ‘iron sights’ category with a score of 98/120 with Pat C and Sean M. chasing up in second and third places. Congrats to Sean McE. shooting an impressive 111 / 120 in the ‘red dot’ pistol category, Trevor J. and Cathal C. coming in second and third respectively. In the Gallery Rifle Cathal C. took the honours with 108/111, closely chased by u/signed and Pat C. Good shooting by all in a friendly but competitive atmosphere. Unusually this month saw no centrefire entries son hopefully this will be reversed next month? 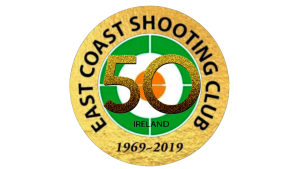 My thanks to Cathal C. and Pat C. both of whom stepped in to R/O lines in this shoot to allow me to compete; the next shoot is planned for Sunday 28th October 2018, first shots away at 1030hrs, and we’ll be using a novelty Halloween format. It will allow for the intermingling of pistol and semi-automatic rifle shooters so do continue to bring your rifles with you!